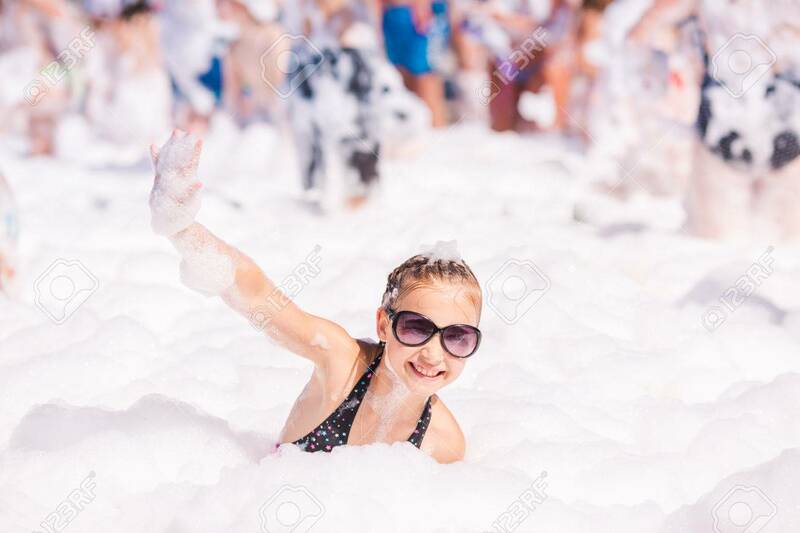 Foam Party On The Beach. Cute Little Girl Having Fun And Dancing. Royalty Free Fotografie A Reklamní Fotografie. Image 41480680.